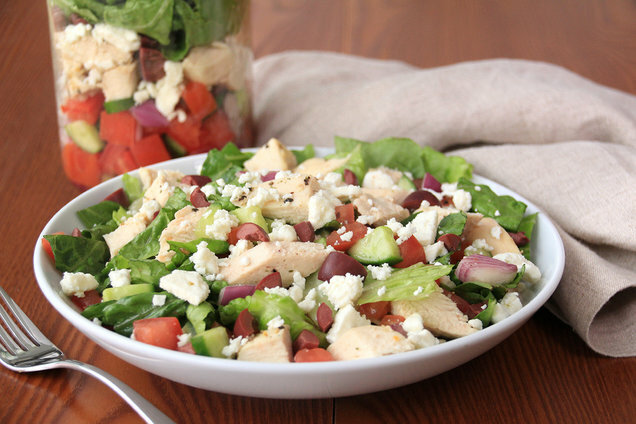 This Mediterranean-style salad is soooo incredibly flavorful... Opa! In a small bowl, toss avocado with lemon juice. In a 1-qt. wide-mouth mason jar, combine strawberries, cucumber, and dressing; stir to mix and coat. Top with feta cheese, avocado, and lettuce. 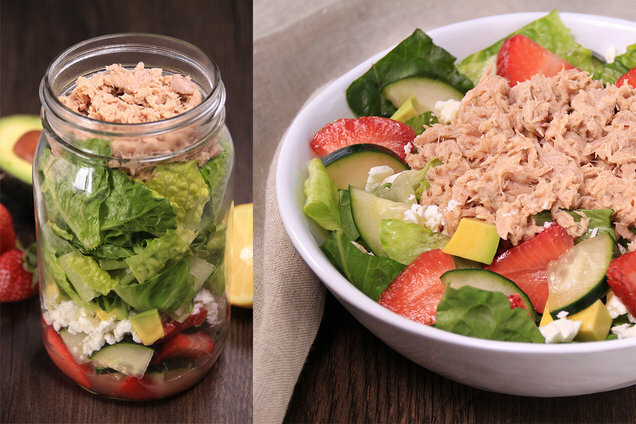 Hungry for More Salad in a Jar Recipes? We feel obligated to tell you it's National Fluffernutter Day, October 8th. Try this trick for a reasonably healthy fix: Spread a Wasa Crispbread with a tablespoon each peanut butter and marshmallow creme... Under 200 calories! This trend is here to stay -- click "Send to a Friend" to keep your pals eating in style!